“Having read Alyssa Richards other books, I knew I was in for a treat, even though this was a slightly different genre. And gothic suspense being one of my absolute favorites, I was extremely psyched to read this book. Fortunately, everything that I anticipated about how good this book would be, and how much I would enjoy it, came true. 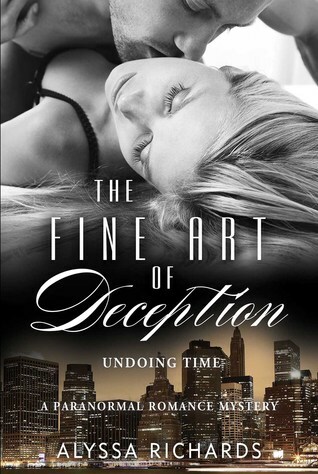 Thank you to Splashes Into Books for their Review of The Fine Art of Deception! Adeline Montgomery comes from a family of psychics. They each have their own talents and hers is that when she touches an object she sees events and feelings relating to its owner, sometimes their deepest secrets. This is a great way of finding out if art work is genuine or fake but sometimes others just find it too frightening to cope with – like her ex, Jeremy, who is now engaged to the person who used to be her best friend. Even though they split seven years ago it has had a severe effect on her willingness to share her gift or to trust men. She can also see and communicate with “ghosts” and touching someone can reveal their secrets whether she wants to know them or not. Shutting out all these communications is difficult for her at times. Now she’s going to try for a job as a researcher in the Art appraisal company started by Otto Albrecht and her grandfather. It is now years since her father and grandfather mysteriously and dramatically disappeared whilst in Paris for the company – even with her psychic talents she hasn’t been able to find them. Her sister warns her to stay away from the company but she needs the job and maybe she can find out what happened to their father and grandfather! Gallery owner Blake Greenwood admits people in the art world aren’t always what they seem. He’s tall, dark and dangerously attractive as far as Adeline is concerned, their attraction is mutual and somewhat irresistible. Her gifts, however, warn her to keep away from him – should she listen to her head or her heart? She needs to decide quickly because in the fraudulent art world, mafia involvement and people who aren’t what they seem all threaten Adeline, even when she doesn’t realise her danger. This is well written with complex characters who reveal more of themselves as the story progresses. 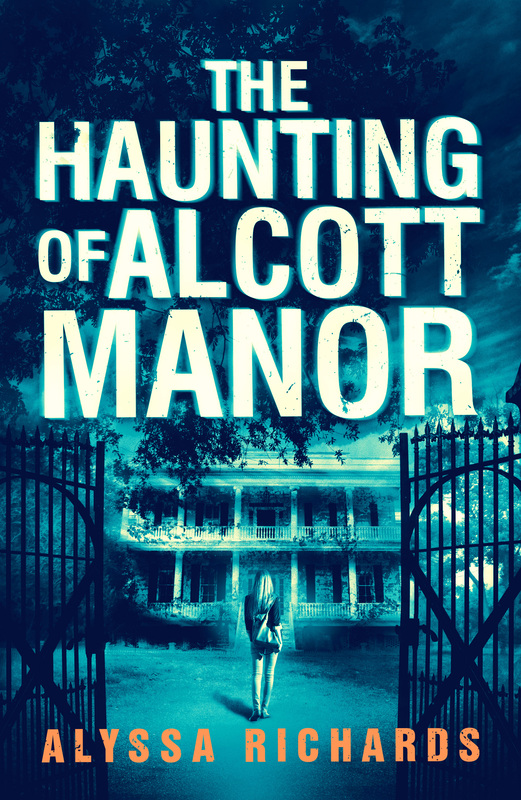 It is a great mystery with paranormal elements that make it enthrallingly different and captivating. With soul mates, vengeful spirits, a range of psychic abilities together with a possible romance this book has it all. Any fans of mysteries or paranormal romance are likely to be as enamoured with this book as I am. It does end but there are so many loose ends that I really hope there will be a sequel! for letting me read an ARC in exchange for an honest review. While I am writing this review I am listening to the playlist that Alyssa has created for the book and there are some songs that certainly remind me of both Addie and Blake. I love You Found Me from The Fray,it is so perfect for this couple! This book kept my undivided attention for the whole 2 days it took me to read it. I enjoyed every minute of it and I am so happy that I accepted the request to review this book because undoubtedly Alyssa Richards has just become one of my new favourite authors for this year. It has been a really long time since I read a really good paranormal book. I was tired of reading the same clichéd stories so it was a breath of fresh air to read The Fine Art of Deception. I am a sucker for great mysteries and trying to solve them and this book gave me just the chance to do that. I have to say that there were things I caught at first sight but there were others that were so well hidden that it was impossible to unravel them till the end. I loved all the concept of predestination, reincarnation and soul mates. I have previously read about this kind of topic in other books and really liked it. But Alyssa brings a new kind of passion into the paranormal genre, she brings adventure, mystery, desire and love while bending the limits of the paranormal world with romance to create an unforgettable story. I really loved this story and cannot wait to read its sequel. If you are a fan of paranormal romance or just romance with a new twist you should definitely check out The Fine Art of Deception and keep Alyssa Richards in your top author´s list!